Will Duct Cleaning Help My Allergies And Asthma Trouble? 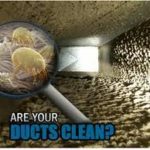 Home/Allergens, Consumer Info, Frequently Asked Questions, Residential Duct Cleaning Articles, Seasonal, Uncategorized/Will Duct Cleaning Help My Allergies And Asthma Trouble? How Can Duct Cleaning Help My Allergies And Asthma? We cannot control the weather, outside pollen from trees and grass, air pollution or the respiratory illnesses that the winter will bring. We can, however, make our living environment as clean and allergen free as possible. 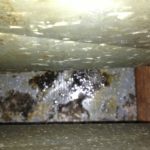 Duct Cleaning with the proper equipment and proper techniques will do the job. Advanced Furnace & Air Duct Cleaning has been serving the State of New Jersey for over 52 years helping the many who suffer. All the above triggers can and consequently will find its way into your air ducts and HVAC system. In conclusion, Advanced uses the best equipment in the industry and follows the gold standard set by the National Air Duct Cleaning Association. 1 in 5 people in the USA suffer with allergies and asthma. 55% of the population would test positive for 1 or more allergies. Allergies rank 5th in the list of chronic diseases in the USA. The estimated annual cost of treatment for allergies to the health care system and businesses is 7.9 billion dollars. The number of weeks by which ragweed pollen season has increased in the last 10 to 15 years is 4. The number of work days lost each year because of hay fever is 4 million. The odds that a child with one allergic parent will develop allergies is 33%. If both have allergies that is raised to 70%. 100% of all households have detectable levels of dog or cat dander. There are 1 in 13 or about 25 million asthmatics in the USA and this number is growing. The most noteworthy stat we read was according to the EPA the average American spends 93% of their lives per day inside. That is 87% indoors and 6% in a car. They broke that down to a half day per week of time spent outdoors! 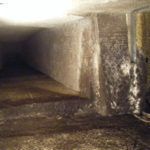 Air duct cleaning will reduce the contaminants inside the duct work and the flexible ducts in your home. Proper duct cleaning will remove dust mites, pollen, animal droppings, insect debris, mold, dander, both human and animal, hair, and dust. Give Advanced Furnace & Air Duct Cleaning a call today and get a free quote. Also mention this article for a 15% discount and free antimicrobial treatment. Check back for more information as the season progresses for info regarding each pollutant. And finally, call Advanced Furnace & Air Duct Cleaning today at 1-800-317-7104.